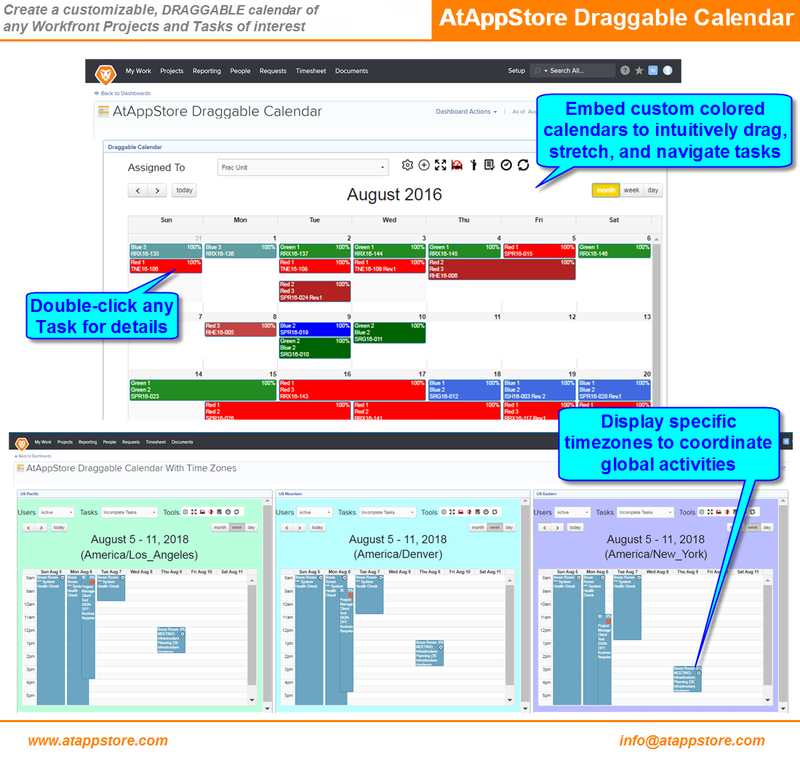 Add our Draggable Calendar solution to any standard Workfront dashboard as an external page. For each such Draggable Calendar, you can set a default Workfront task filter to control which tasks appear. You can set a specific color for each person within Workfront and color the tasks accordingly by primary assignee, project owner, project sponsor, program owner, portfolio, owner; or by particular project color; or by particular task color; or force a special event color. There are dozens of other options such as height, slot duration, snap duration, and default View. 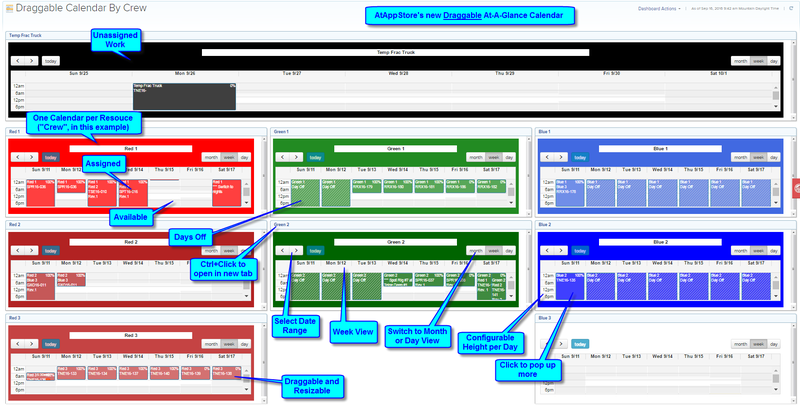 You can also use these to combine multiple calendars onto a single dashboard, using them in tandem to visualize the work. Double-clicking a task event pops a number of key attributes about the task, including changing durations and setting assignments. Best of all, you can make the tasks themselves draggable, making it easier than ever to quickly adjust schedules, especially in fast-paced work environments.